Patients with MTHFR and methylation issues require a unique approach. Explore MTHFR Support's line of products, specifically designed with you in mind. A BIG THANK YOU! I went onto your website and listened to the EXCELLENT Webinar – The Effects of Histamine. My goodness…. it has made so many things clear to me. I am so pleased I came to MTHFR a few years ago. I am 60 now and feel so much better than I did at 30, 40 and 50! It has totally changed my life! 1 x MTHFR mutated gene, extremely low B12, histamine issues with so many of the symptoms all my life… What a relief to finally get on top of things. It is such a pity that this is not a more mainstream treatment for people. You are doing amazing work. I am learning so much from these sessions. You are the first practitioner that has given me an understanding of what is going on in my body (Oxalates/Histamine that I have been struggling with for years) and given me the tools to heal. I am seeing Kristen Soper and with her support and these sessions I am so positive about the future, so thank you so much for this initiative. My son and I have benefited greatly from working with Carolyn over the past couple of years. My son had had numerous doses of antibiotics for ear infections, but since seeing Carolyn he has not needed any. He therefore doesn’t miss as much school or activities, and so is a happier boy. After seeing countless doctors and natural health practitioners over a period of 40 years for chronic digestive issues and migraine headaches, I discovered, through word of mouth, something called the Methylation Pathway … I saw a couple of practitioners who purportedly “knew about” MTHFR, but who didn’t have the depth of knowledge and expertise required to address my issues. In fact, I knew more than they did! When finally my path led me to Carolyn Ledowsky, I felt as though I was suddenly breathing fresh air.! Truly AMAZING just about sums it up really! After finally discovering that MTHFR was the main culprit for all of my ailments (I am Compound Heterozygous), thankfully I found Carolyn and her team.. Carolyn has been on the money every step of the way with my treatment plan. I have my memory back, I have my sleep restored, I have lost weight and I have knees, for the first time ever! I am nearly fifty years old and have spent most of my adult life looking in one place and another to try and improve my mental, emotional and physical health. I have tried many, many different complimentary therapies along the way, alongside consulting regular doctors, both in Australia and England. 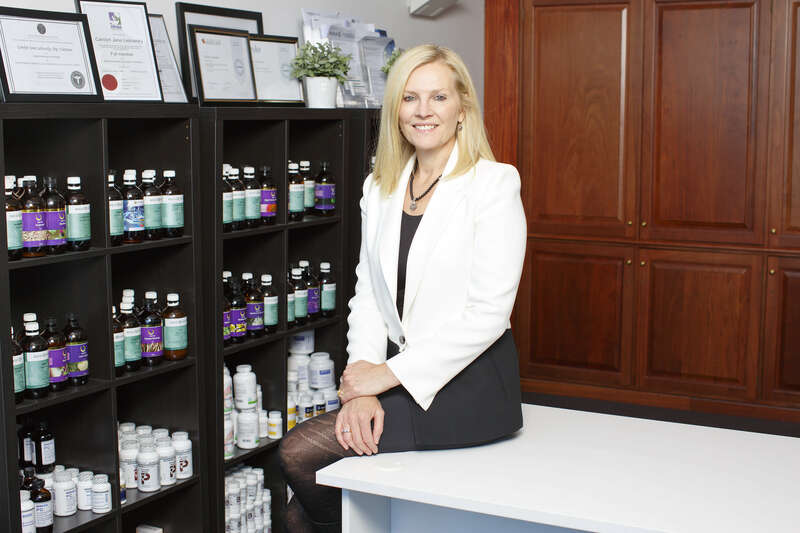 I can’t begin to think how much time and money has been spent……Eventually I was referred on to Carolyn Ledowski via an excellent naturopath in Melbourne. The programme Carolyn set for me was realistically achievable (with a busy family household of children) and I very quickly started benefiting from the supplements that she prescribed.